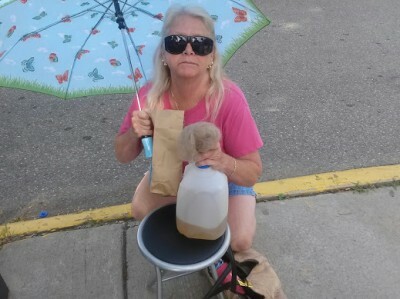 FLINT, MI – A woman at the center of a bellwether Flint water crisis lawsuit was one of two women who were shot to death inside a townhouse earlier this week. Sasha Avonna Bell was one of the first of a growing number of people to file a lawsuit in connection to the Flint water crisis after she claimed that her child had been lead poisoned. Bell was found dead April 19 in the 2600 block of Ridgecrest Drive at the Ridgecrest Village Townhouses. Sacorya Renee Reed was also found shot to death in the home. An unharmed 1-year-old child was also found inside of the Ridgecrest home when Bell’s body was discovered and was taken into custody by child protective services. Police declined to confirm if it was Bell’s child discovered in the home. Bell’s case was one of 64 lawsuits filed on behalf of 144 children by Stern’s firm, New York-based Levy Konigsberg, and Flint-based Robinson Carter & Crawford. 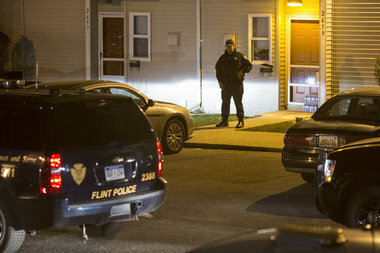 Days after a mother and her 9-year-old son were shot in Flint, an infant was recovered from a home where police discovered the bodies of two young women who were slain. The lawsuit named six companies that had various responsibilities with respect to the treatment, monitoring, and safety of the Flint water prior to and during the Flint water crisis, according to her attorneys. The case also named three individual government, or former government, employees who played significant roles in the alleged misconduct that led to the alleged poisoning of thousands of children in Flint, her attorneys claim. The Bell case, however, played an important role in determining the future of the more than five dozen other lawsuits that were filed. Initially, Bell’s case and the others were filed in Genesee Circuit Court. However, they were transferred to U.S. District Court on a motion from one of the defendants, engineering company Lockwood, Andrews & Newnam. However, Ann Arbor U.S. District Judge John Corbett O’Meara ruled April 13 that Bell’s case should return to the state court claiming it lacked jurisdiction to hear the case. Stern said the case will continue and a representative will be appointed for Bell’s child. The ruling also forced the other 63 cases to be returned to state court. Flint police say they have a person in custody in connection to the slayings of Bell and Reed. No charges have yet been filed.